One early morning, you walk out to your car, only to find the car battery dead. If you happen to own a set of jumper cables, you can call a friend to help you get your car started again. There are also battery jumper starters on the market, which make it so that you can jump start your car without the assistance of another vehicle. 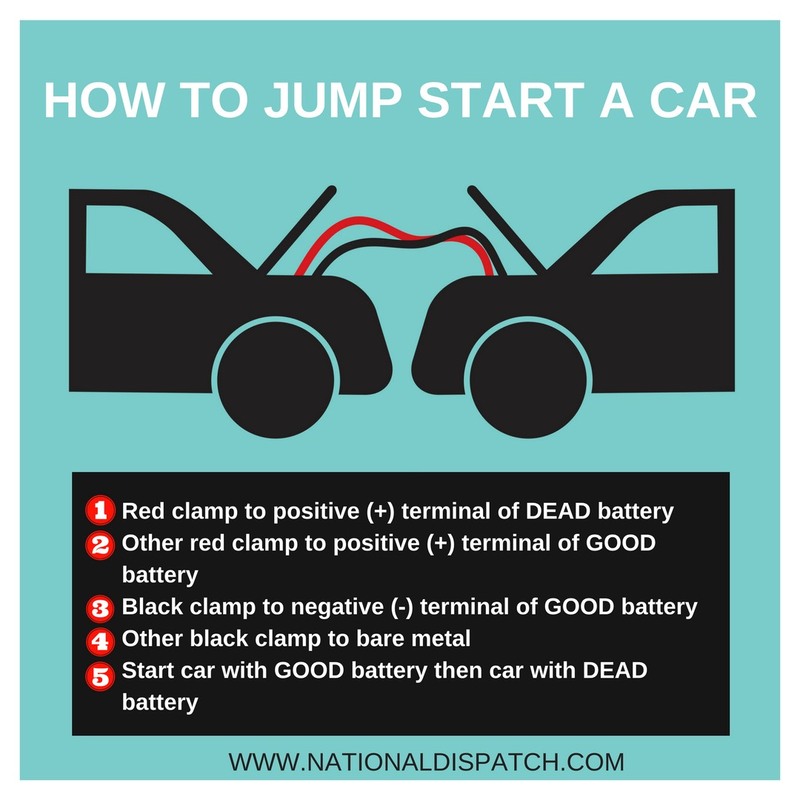 In either case, it is important to know how to properly jump start a car. You never know when this knowledge might come in handy. Follow these steps to get you back on the road as quickly as possible. Before trying to jump start the car, you need to make sure that a dead battery is the cause. If you go to turn the key in the ignition and nothing happens, then a dead battery is likely the cause. In order to fix this, you will need to take out your jumper cables. You will need to call someone to help you jump start your car, if you are using a standard pair of jumper cables. Phone a family member or friend. If you come out to a dead battery in a parking lot, you can ask someone who is around for some assistance. The other car will need to be positioned, so that the jumper cables can reach the batteries of both cars. For most cars, the battery is located in the front of the car, under the hood. However, there are some instances, in which the battery is located in the trunk. This could be to save space in the engine compartment or for weight distribution. If you are having problems locating your battery, look in your car’s owner’s manual. Once you locate the battery, identify the positive and negative terminals. The positive terminal typically has a plus sign and a red cable attached to it, while the negative terminal has a negative sign and a black cable attached to it. Attach one red clamp to the positive terminal of the dead battery. The attach the other red clamp to the positive terminal of the good battery. Next, you want to connect one black clamp to the negative terminal of the good battery. The other black clamp will be placed on a piece of metal on the car with the dead battery. This could be a nut, bolt, or other metal source. Start the working car first, and let it run for a few minutes. Then, try to start the dead car. If the car does not start, you may need to contact a towing company or have your battery replaced. Once the car starts, you will want to proceed at removing the jumper cables. You will remove the cables in the reverse order to which you attached. Remove the black clamp from the piece of metal. Then, remove the black clamp from the negative terminal of the good battery. Then, you will want to remove the red clamp from the positive terminal of the good battery. Lastly, remove the red clamp from the positive terminal of the dead battery. You want to give the battery enough time to charge. In order to do so, you will need to keep the car running for 10-20 minutes. You can do this by either driving it around town, or keeping it at an idle. National Dispatch is a nationwide auto transport company with a company-owned fleet. If you are in need of auto shipping services, contact us for a free, instant car transport rate. No personal information is required. You can also contact us at 800-321-2051. Learn more about our auto shipping services.